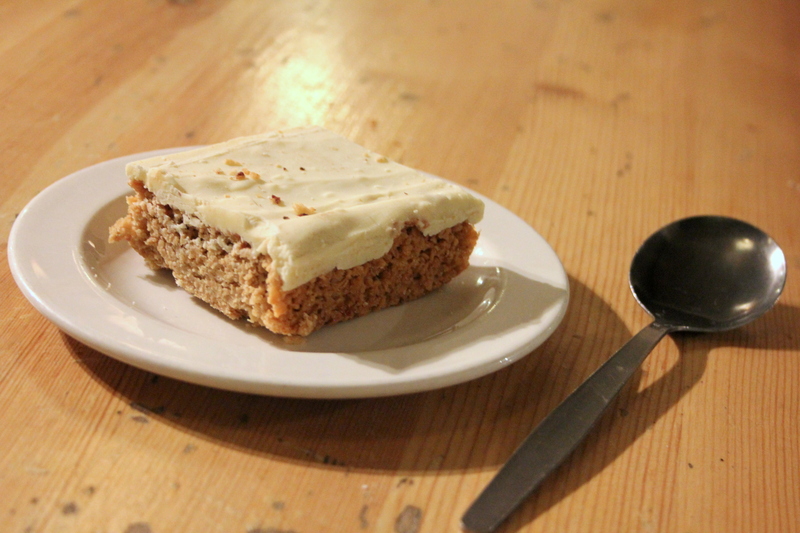 Welcome to the third review of Vegan In Scotland, the blog series in which I review vegan/vegetarian restaurants, cafés and shops in Scotland. Ever since I moved here, I realised it is noticeably harder to eat out and stick to a plant-based diet in Scotland than it was when I lived in London. After several months of frustration, I am making it my mission to suss out vegan/vegetarian places to eat all over Scotland — if it takes me all the way out to the Hebrides! (But hopefully not.) The first reviews are on Stereo and David Bann. 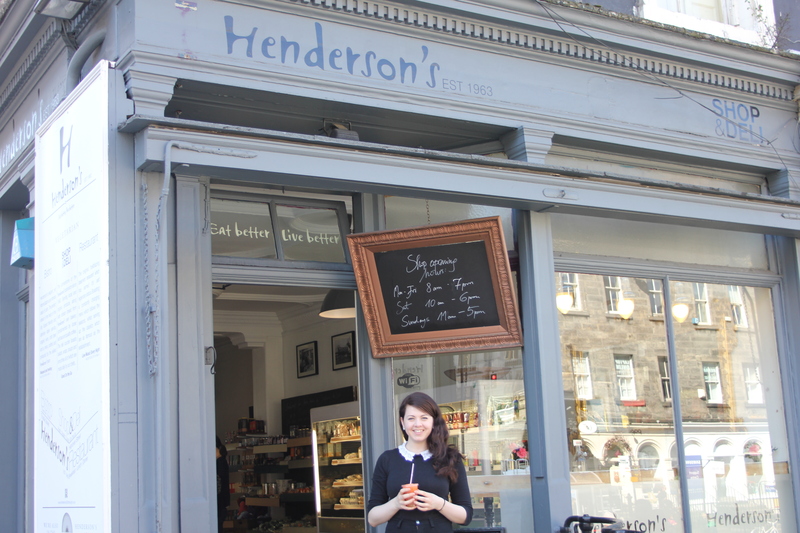 But I knew that if there were this many Henderson’s branches across Edinburgh there must be a good reason. I am nothing if not determined to see the good in everything. 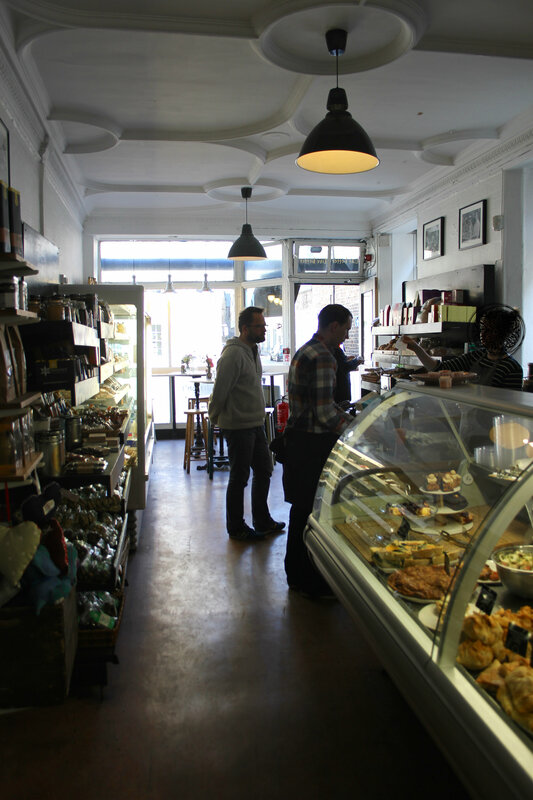 The restaurant is located in the basement of the deli, down a flight of bucolic stairs. (In the summer this is unfortunate, as we would have liked to dine in the sun, but I imagine it must be delightfully cosy in there in the winter.) There is a menu scribbled onto a blackboard behind the buffet, but otherwise you can pretty much mix and match your salads and cooked lunch. About half of the dishes are vegan, so there is plenty of choice. The ‘famous’ haggis and the bean burger were tempting but I was curious about the mushroom stroganoff, having never had one in my life. I left my partner to order and grabbed a ginger coconut lemon bar on my way to our table. There was nothing pretty about my stroganoff, but it was nutritious and enjoyable. Not sure I would order it again. When my table companion’s bean burger arrived I was nearly green with envy: a baseball-sized patty, golden brown and crisp on the outside, lounging on a bed of fresh lettuce and juicy cherry tomatoes, served with a just-spicy-enough tomato sauce. And those wedges. Gargantuan, crackling, dusted with paprika and cayenne. I was very happy to finish off my companion’s plate. The room is poorly lit and vaguely resembles the interior of a second-rate Swiss chalet pub, but it isn’t uncomfortable and the food mostly makes up for it. We agreed that this was not the ideal place for a couple to have a cosy meal together but rather a family restaurant, or somewhere you would dine out with a group of friends. There were a number of children around, which might bother some adult diners. Looking at the website afterwards I discovered they offer 10% student discounts. If this was advertised anywhere in the restaurant, I did not notice it, but I’ll make sure to ask next time. We went up to the deli post-lunch; it was quite empty, everyone being out in the sun that day. I asked for a fresh juice and to my delight they made it for me on the spot. There was an excellent selection of teas and plenty of vegan chocolate, including some chocolate eggs by Considerit, which I love. My overall verdict: I’ll happily go again. There were so many dishes I wanted to try but my stomach begged to differ. 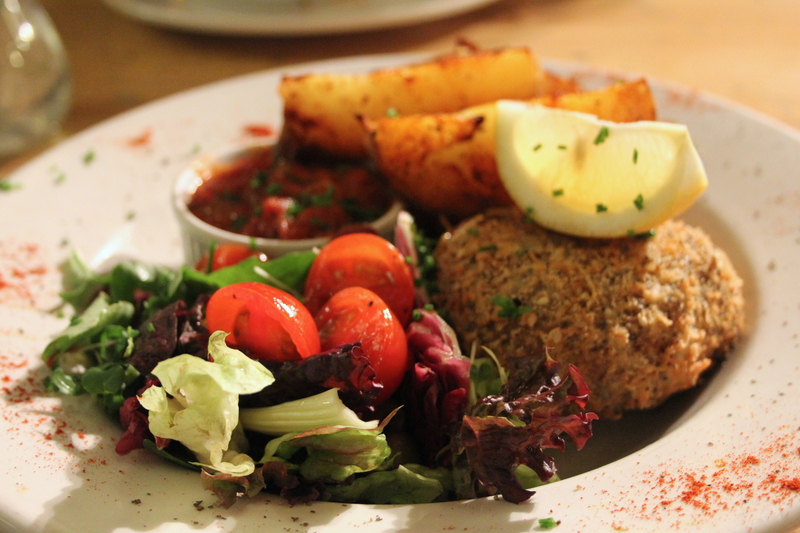 By now you’ll know we’re modest eaters, and our bill came to just under £20 for two people. 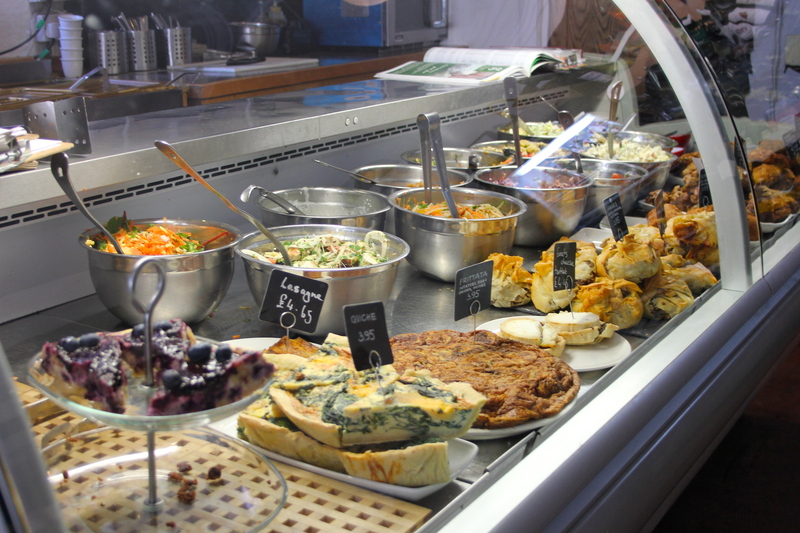 If you live in Edinburgh and want to buy lunch or a snack on the go, or get a few special ingredients, I would definitely recommend the deli. The food is fresh and moreish. Disclaimer: All opinions are my own. I am not endorsed for this review and the meal was not complimentary. Have you been to Henderson’s? Which Scottish vegan restaurant/café/shop should I visit next? I could go again maybe with some friends who would be less picky than my Mum… but from what you’re describing I’m still not hugely keen on the whole “some good-some bad” mixed review. I tend to just play it safe and go for places I KNOW are going to serve delicious food through and through. I’m paying for the stuff after all. I totally understand. I’m not saying they’re a bad restaurant at all – in fact I think they’ve got a great selection of food to choose from and the staff were utterly lovely, it’s just the interior decoration that needs work, and I think I made a poor choice of food for my preferences – if I’d gone with the burger and the chocolate cake, I know I would have given it five stars. 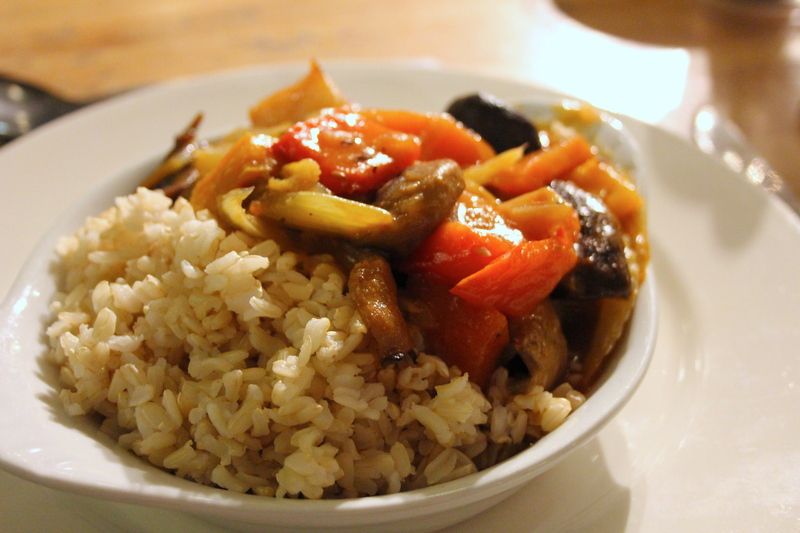 I would heartily recommend you visit David Bann, just off the Royal Mile – that is my all-time favourite vegan restaurant! I wrote a review of it here. 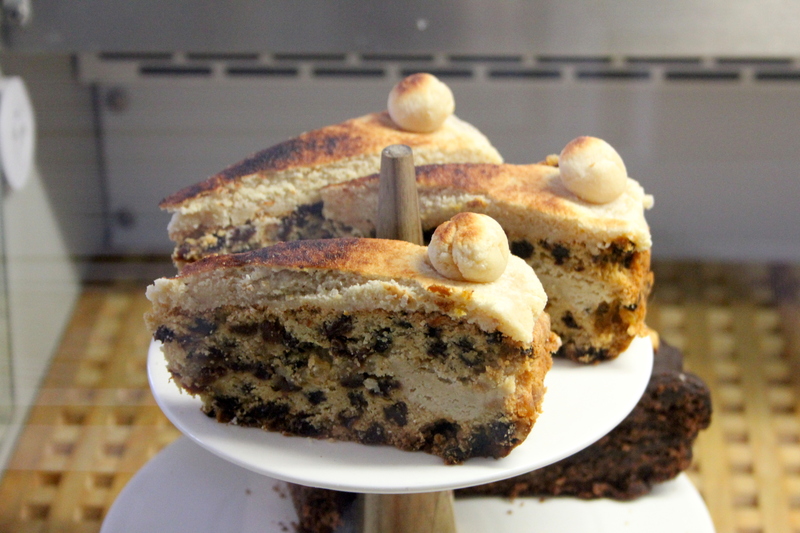 The Henderson’s bistro on thistle Street has gone fully vegan now. I was there last weekend and it was gooood. Cherry pie!! They are closing in July to be refurbished, saw the mood board and I think it’s going to look great!